Creative Career Advice: Knowing Your Market and Setting Prices – Sig Nordal, Jr.
December 27, 2017 December 28, 2017 Sig Nordal, Jr. 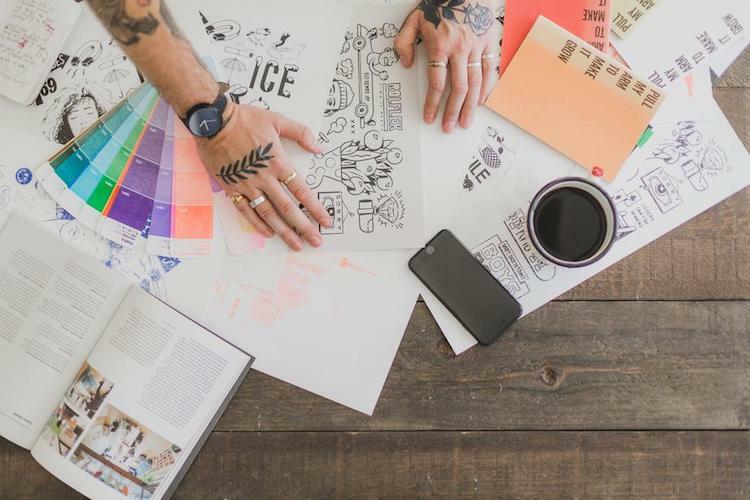 Whether you’re just starting out or you’re a seasoned professional, understanding how to price your services or products can be a daunting task for any creative professional. In fact, one of the biggest mistakes freelancers make is underselling themselves because they either don’t take into consideration all the proper factors or underestimate the value their experience brings. Recently, we tackled art commissions and best practices for ensuring they run smoothly, which touched on pricing to a degree. Here, we’ll go further in depth about the steps you can take to set your prices and make sure they are on target for your market. Photographers, designers, and makers all need to have a good grasp on pricing if they want to create a successful, long-term career. And while we won’t discuss fine art pricing, which is a separate argument, The Value of Art is a great book to begin understanding the contemporary art market. Here are some considerations to help you better understand how to price your creative services or goods in order to stay competitive, but keep your business running successfully. This is a common dilemma for anyone offering creative services. While a flat rate can seem like a straightforward, easy way to go, if not considered carefully it can have some downsides. There can be such a wide range of needs within any given service, that you might find yourself setting a low price to get people in the door, and then spending considerably more time than you’d like on the given project. So, while a doing well-priced flyer designs, for example, might be a good way to get your graphic design business off the ground, you may find yourself pouring too many hours into a project that, when broken down hourly, pays peanuts. Conversely, setting a high flat rate squeezes out a lot of potential clients who simply can’t afford the large number. If their projects are actually straightforward, from a time standpoint, you could be missing out on easy money. So, if you go the flat rate route, make sure you take into consideration these different aspects to come to a happy medium that you—and your clients—will be pleased with. For service-based creatives, use a calculator to help you figure out your hourly rate. There are a large number of factors when thinking about pricing, and the amount of time you are physically performing the task at hand is only one thing to consider. Aside from expenses, one of the first questions you want to ask yourself is, “How much do I want to earn in a year?” and “How many hours a week do I want to work in order to achieve that goal?” And, of course, you’ll want to make sure you get paid for all the intangibles of a business that aren’t directly connected to a specific project, whether that be hours spent doing market research or time brainstorming new creative concepts for your brand. If this all sound daunting, there are a number of online calculators that will take you through the process, step-by-step. BeeWits and the NPPA have comprehensive hourly rate calculators for any freelance business, while Sprouting Photographer has a number of rate calculators specifically for photographers. If you’re producing handmade items, there are tools for you, too! Maybe you aren’t selling a creative service, but rather producing artistically crafted items to sell, whether that be online or in person. There are different considerations when thinking about products aside from production hours, but you will still want to factor things like the costs of marketing or research for your new line. And some of the issues you’ll face are different, including whether or not you want to wholesale items and transaction fees or commissions from services like PayPal or Etsy. Remember, most artisans have a markup of at least 50% in order to account for eventual ventures in wholesaling and to have enough of a profit margin to be able to reinvest in the business. Craftsybase has a simple and efficient calculator for pricing out Etsy products, while Creative Hive Co has a comprehensive guide to pricing handmade goods, as well as a free downloadable calculator for setting prices. Of course, calculators are great for crunching numbers, but as any successful entrepreneur will tell you, math is only part of the story. One of the most important reasons to find your artistic niche is that once you know who your customer is, you’ll be able to think about what they can realistically afford. This will require you to do some market research to discover if the pricing you are calculating is competitive in the marketplace or is completely out of synch. Sometimes this will be based on location. If you are a wedding photographer, there will be a particular radius you work in, and doing research to find out what other photographers in the area are charging will be key. Of course, when comparing your prices to others, also think about what makes your work comprable—or not. Maybe you have more years of experience or have had your work exhibited by important institutions. These are all reasons to justify a higher rate. Conversely, if you are just starting out and looking to cultivate a client base to grow your business, pricing competitively will help you do so until you have enough experience to raise your rates. If you are selling goods online, a quick search for comparable items on Etsy and Amazon will help you see if you are under or overpricing yourself. It’s also helpful to look at Google Adwords and the search volume for the type of item you are selling. If a lot of people are searching for the product, that’s good news for you—thought you’ll want to think about what makes your work unique in order to market it successfully. But if the volume is very low and you aren’t able to find many comparable items online or locally, you’ll want to think about whether or not there is a market for what you want to sell. Remember, selling—whether it’s a service or a physical item—is all about supply and demand. If you have a market for your work, but your clients can’t afford what you are selling, you’ll need to get creative in thinking about how to get them what they want without compromising your business. This may mean creatively sourcing less expensive materials or starting out part time until you can grow enough to support yourself fully. The post Creative Career Advice: Knowing Your Market and Setting Prices appeared first on My Modern Met. Previous Article Why talk about Trump and 2020 in the same sentence? The world will not survive this presidency, let alone if Trump stays until 2024. Next Article Trump Free 2018?